Flipping Property; Is it Right For You? time job, where I legitimately bought and resold real estate for profit. If I needed extra money I’d flip a house. If I had a big bill due I’d flip another one. But it wasn't always that way. My life changes when I met on an airplane flight from Gainesville Florida to Washington, DC. He said he was a real estate investor and during the flight shared that he was making a lot of money. Specifically, he said he had made a million dollars buying and selling real estate. My life changed on that flight. And although he could have been pulling my leg he'd nonetheless gotten my undivided attention and held it for the duration of the flight. I soaked up what he said like a sponge. Through him I learned that the best time to start flipping property is while you’re single. Why? Because a single person is more likely to be okay with the idea of buying a fixer upper, moving into it, fixing it up, selling it and doing it all over again. It’s true. I lived in places as a single person that I would never move my family into. However, I still flipped lots of properties after I got married, so don’t think for a second that you must be single to be successful. Sadly, I don’t remember the guy's name, or much about him, but I was impressed and compelled to take action. I learned what I could about buying real estate with no money down do remember what he said. 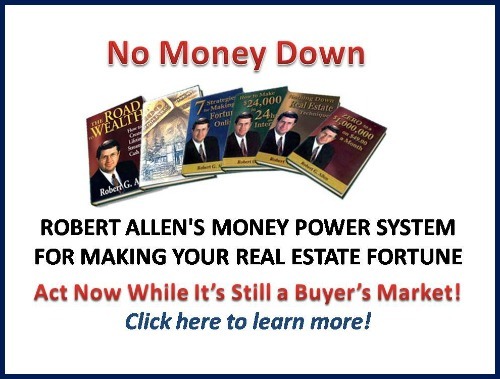 And some of the best strategies I learned are found in Robert G. Allen’s NO MONEY DOWN real estate investment course. I bought one property after another with no money down, using other people’s money, via simultaneous closings, 110% financing, and other creative ways. I also learned some successful real estate investment strategies through an organization that was called ACRE; it stood for American Congress on Real Estate. 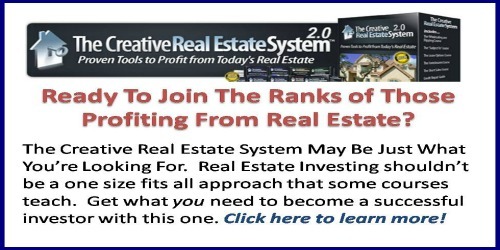 Its focus was also on buying and selling real estate with no to low money down techniques. I also learned about the Creative Real Estate System. The real estate market is right for a buy and hold strategy and in some places it's becoming profitable to buy and flip again. In any event it's arguably a good time to buy, occupy the property and resell as the market rebounds. However, whatever you do though learning as much as you can about flipping strategies and techniques is highly recommended. Here's to your flipping success!